Regular readers know that I like to mock big government and the hacks who are drawn to politics. This explains why I’ve always enjoyed cartoons that portray the state as a blundering, often-malicious, overweight nitwit. You can see some of my favorite examples here,here, here, here, here, here, here, here, here, here, and here. So in that tradition, let’s set aside serious issues today and enjoy some much-deserved satire. 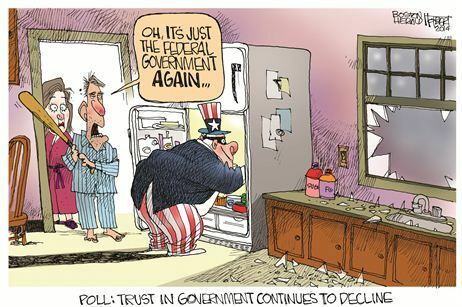 We’ll start with this cartoon from Townhall that captures the essence of government. Here are a couple of quotes that were forwarded to me by Richard Rahn, who is semi-famous for the Rahn Curve. I have no idea if the attributions are accurate, but the sentiments sure hit a bullseye. I know I’ve heard P.J. O’Rourke use the following line, but who knows where it originated. 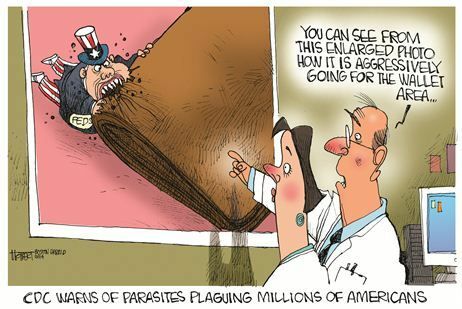 Speaking of parasites, let’s close with another cartoon from Townhall. 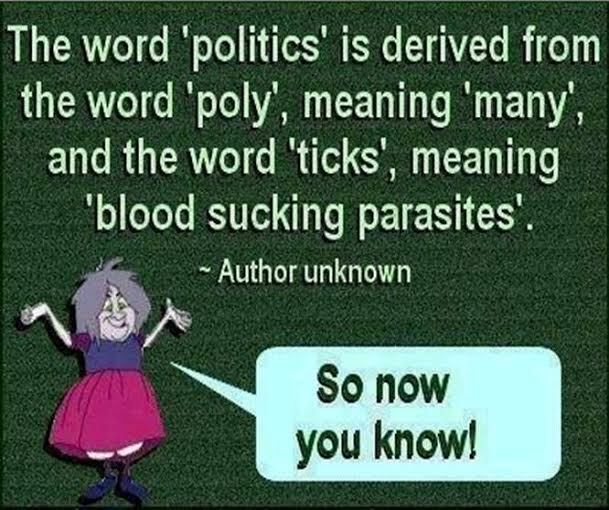 If you like mocking the political class, I have lots of other material for you to enjoy. You can read about how the men and women in DC spend their timescrewing us and wasting our money. We also have some examples of what people in Montana, Louisiana, Nevada, and Wyoming think about big-spending politicians. Now that we’ve enjoyed lots of jokes, let’s close with a serious point. There are several reasons to be against big government. You can oppose it because it undermines economic performance. You can oppose it because it foments corruption. You can oppose it because it violates the Constitution. You can oppose it because it is inconsistent with a free society. You can oppose it because it victimizes innocent people. But as Mark Steyn wrote, using both humor and sound analysis, you can also oppose it for the simple utilitarian reason that small government is more likely to be competent government.